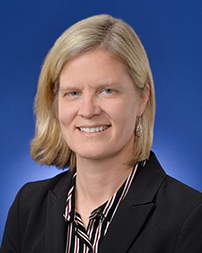 Dr. Kristin Bloink is the Senior Director of Global Research and External Innovation at Elanco Animal Health where she manages internal discovery efforts, external technology evaluations and subsequent portfolio entries for research and development. She has a DVM degree from Michigan State University, an MPH from the University of Michigan, a BS in Human Medicine – Physician Assistant from the University of Iowa, and is a Diplomate of the American College of Veterinary Preventative Medicine. Dr. Bloink has more than 26 years of experience bridging from human medicine to veterinary medicine. Her professional endeavors have included design and execution of human clinical trials, animal drug discovery and development, translational models, and human and veterinary clinical medical delivery in the private as well as the military sector. Dogs have been a passion for Dr. Bloink since age 12, when a very well-prepared sales pitch worked on her parents yielding a lovely Golden Retriever. She has owned, trained, and handled both Leonbergers and Golden Retrievers, titling dogs in conformation, obedience, rally, agility and drafting. Dr. Bloink has been a member of the Golden Retriever Club of America since 1993, a member of the Leonberger Club of America since 2003, and a member of several local dog training and local/regional kennel clubs, as professional duties have moved her about the United States.